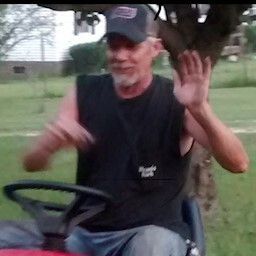 Angier, NC: Mr. Clarence Allen Whittington, age 56, of 116 Debbie Lane died Sunday, January 20, 2019, at his residence. Funeral Service will be 2:00 PM, Thursday, January 24, 2019, at Rose & Graham Funeral Chapel in Benson. Burial will follow in Red Hill Pentecostal Free Will Baptist Church Cemetery. Mr. Whittington was born October 8, 1962 in Alamance County to Claudia Whittington Norris of Coats and the late Leonard Ira Whittington. He retired from Whitley Metals as a welder. Surviving in addition to his mother include his wife of 26 years, Hope Dixon Whittington; sisters, Vickie Whittington of Angier, Ann Whittington of Benson and Bonnie Whitley of Willow Spring; brothers, Dale Whittington of Dunn, Tony Whittington of Willow Spring; Lewis Whittington and Chris Whittington both of Coats; step-siblings; Cathy Pleasant, Tom Norris, Cindy Ivey and Todd Norris; brother-in-law, Jay Dixon of Garner; many nieces and nephews.